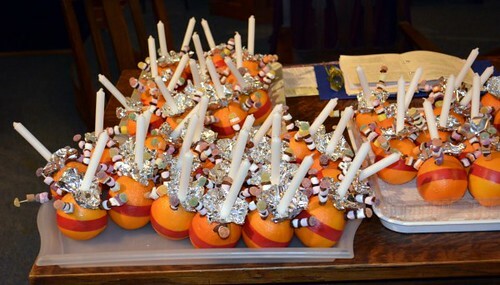 Our Minister led our Christingle and Carol Service on the evening of 22 December. 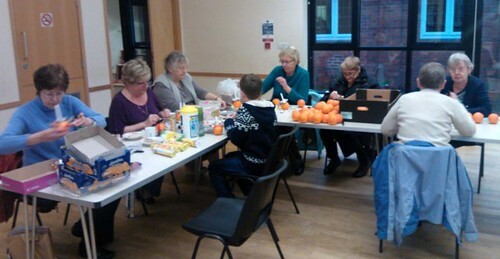 The day before, several volunteers got together to assemble 100 Christingles ready for the service. The candle reminds us of Jesus, whom we believe to be the light of the world. The red ribbon goes all round the ‘world’ and, being the colour of blood, reminds us that Jesus died for us. The four cocktail sticks represent the four seasons and the harvest. 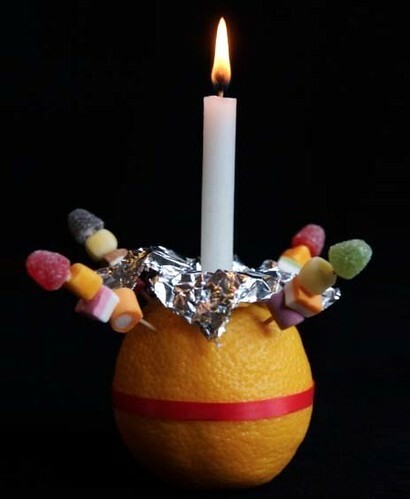 The sweets and dried fruit remind us of God’s gifts to the world, including kindness and his sweet love. The foil reflects God’s love to us all.